ThreeWeeks is led by its Editors – Chris Cooke and Caro Moses – who are supported each summer by an editorial and review team. Fringe performers and veterans also contribute guest columns to ThreeWeeks, some on a one-off basis, others regularly during any one Festival. Past guest contributors have included Adam Kay, Adam Riches, Addy van der Borgh, Andrew O’Neill, Baba Brinkman, Barry Ferns, Brett Goldstein, Bryony Kimmings, Chris Cox, Chris Martin, Chris Turner, Dane Baptiste, Doug Segal, Ian D Montford, Jason Cook, Jay Foreman, Jim Jeffries, Joey Page, John Fleming, John Hinton, Luke Wright, Marcel Lucont, Mark Dolan, Mark Larwood, MJ Hibbett, Mrs Moneypenny, Penny Dreadfuls, Piff The Magic Dragon, Romesh Ranganathan, Simon Evans, Stewart Francis, The Noise Next Door, Tim FitzHigham and Zoe Lyons. From 2009-2011 ThreeWeeks also had Guest Editors, performers who contributed to and chose some of the features in their edition. Guest Editors included Jason Byrne, Robin Ince, Lynn Ruth Miller, Brendon Burns, Pip Utton, Janey Godley, Richard Herring, Andrew Maxwell and Camille. Chris Cooke and Caro Moses have been covering the Edinburgh Festival for two decades now. Chris has also worked as a producer, publicist and venue manager at the Festival, while Caro has produced, directed and performed in the Fringe. Chris co-founded ThreeWeeks in 1996 while studying English at Edinburgh University, with two then fellow students Geraint Preston and Alex Thomson. In 1998 he co-founded music business news network CMU and its publisher UnLimited Media, subsequently setting up UnLimited’s creative and media consultancy UnLimited Insights, education business UnLimited Learning and ThreeWeeks’ sister media ThisWeek London. All these businesses now operate as part of 3CM UnLimited, the company Chris co-owns and heads up as MD. Today CMU offers a range of services that help people navigate and understand the music business. This includes media like the CMU Daily bulletin, Setlist podcast and CMU Trends library; consultancy unit CMU Insights with its training courses, conference sessions and research reports; and education programme CMU:DIY, which supports early-career artists and future industry talent. Via CMU, Chris writes, talks, teaches and consults about the music industry. He delivers speed briefings at music conferences around the world; guest lectures at various UK music colleges; runs regular seminars for Sony Music, BPI, MMF, MU and IMRO; and curates the core conference strands at The Great Escape showcase festival in Brighton each May. He also wrote the acclaimed book ‘Dissecting The Digital Dollar’ explaining how the streaming business works. Having written about the music industry for two decades, and received a second degree in law, Chris has become a leading expert on music copyright and media law. Through 3CM UnLimited, he has also worked on a wide range of other media, marketing and education projects over the years. This includes helping to launch the Taylor Bennett Foundation, the award winning charity which is enabling more ethnic diversity in the PR industry. For ThreeWeeks, Chris oversees the production and commercial side of the operation, coordinates website development and liaises with the wider Fringe community. 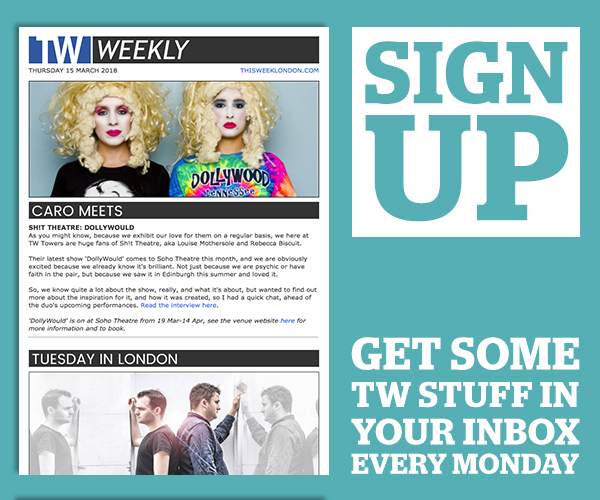 He also contributes interviews to the magazine and is overseeing the launch of the new educational website TW:DIY. Caro has worked in the arts, media and content industries ever since her student days in Edinburgh. Actively involved in Edinburgh University’s students’ union, newspaper and theatre company, there she honed her skills as an editor, writer, actor, director and producer, and was part of the team that launched ThreeWeeks at the Edinburgh Festival in 1996. 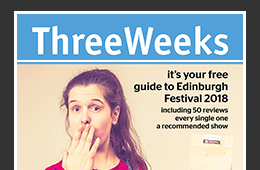 As Co-Publisher and Co-Editor of ThreeWeeks since 2001, she developed the publication’s acclaimed MediaSkills programme and led the expansion of ThreeWeeks’ coverage of the Fringe, making it a flagship media at the Festival. While developing ThreeWeeks, Caro also continued to work in the theatre, writing and performing in the acclaimed one woman play ‘Fat Girl’, and producing and directing a number of new plays at Edinburgh’s Fringe and in London’s West End. She became a full-time director of UnLimited Media and its sister companies in 2002. 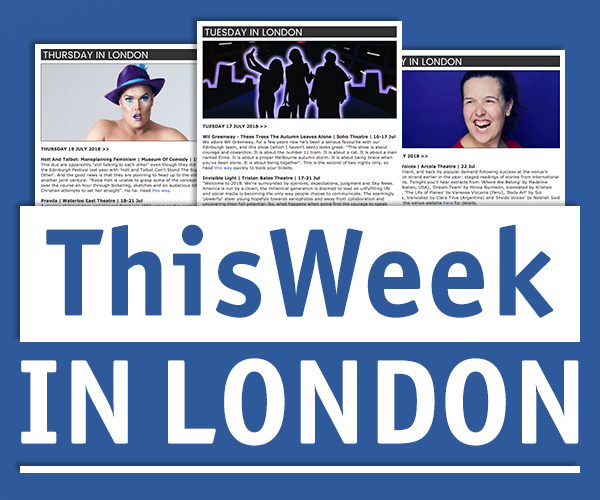 In 2012 Caro launched ThisWeek London, which carries on the ethos of ThreeWeeks all year round in London by providing Three To See culture recommendations every day. She also interviews writers, directors and performers for the regular Caro Meets features. For ThreeWeeks, Caro recruits and manages the review team, commissions all interviews and columns, approves all review and feature content before publication, and liaises with the Festival’s PR community. She also writes the annual Three To See previews and contributes other features to the magazine. Chris and Caro are supported each year by an editorial team and a review team. Applications to join the latter open at the start of each year – look out for more information on the website about how to apply each January. Lists of past contributors year by year are available here.